Saipan was a critical objective in the US Navy’s “island hopping” campaign in the Pacific; its two airfields were suitable for heavy bombers. Hence three US divisions were scheduled to invade Saipan on 15 June 1944, supported by nearly two-dozen battleships that had begun a bombardment two days before. More than 30,000 fanatic Japanese were entrenched on the island, dug into caves and other formidable defensive positions. 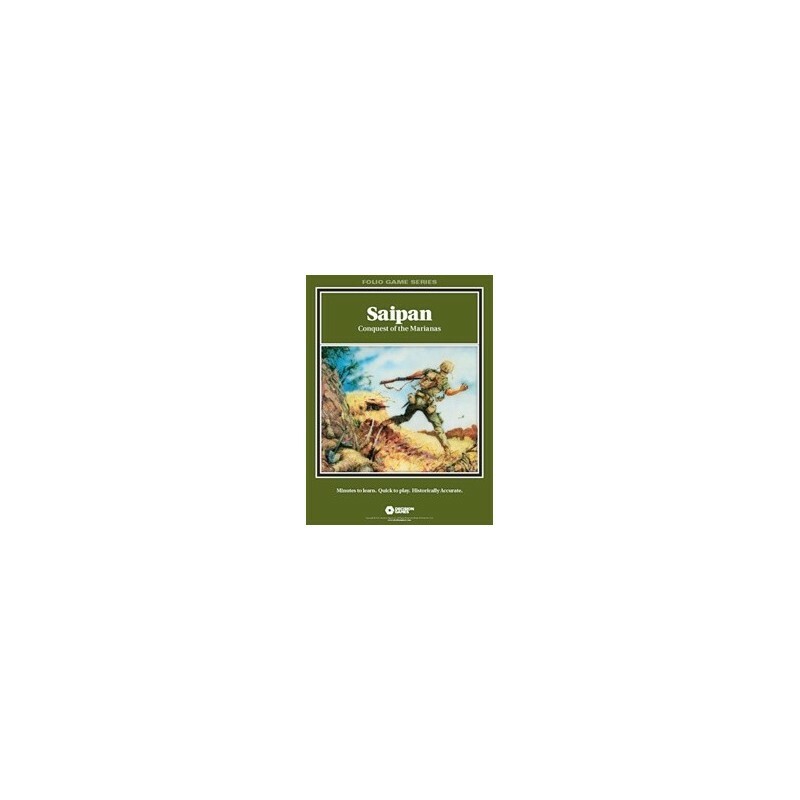 The battle for Saipan proved to be one of the fiercest battles of the Pacific War, and the deadliest up to that time for both sides. 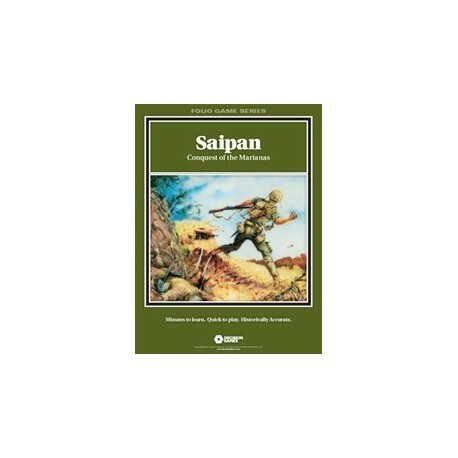 Saipan utilizes the new Fire & Movement combat system that’s designed so players can augment their units with “support fire” during the course of the turn. From naval bombardment to bazookas, units can receive support to engage enemy positions and formations, allowing combat to develop at all levels. A single engineer battalion, for example — perhaps supported by flamethrowers — could be tasked to assault a lone enemy infantry regiment defending a plateau. As its attack gets underway, however, the engineer battalion may suddenly come under fire from enemy mortars. More support will be needed to take the plateau, but assets are limited. 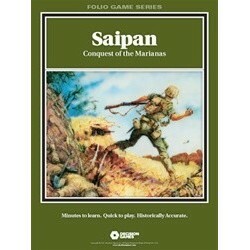 In Saipan the attritional design of the new Combat Results Table simulates the true nature of the battles in the Pacific. Units are typically two-sided formations that can incur casualties, accurately replicating the realities of combat and the high losses sustained by both sides during the actual fighting on Saipan. Winning the battle is thus a matter of maneuver, firepower and asset management.